At least one iconic Chicago artist agrees. 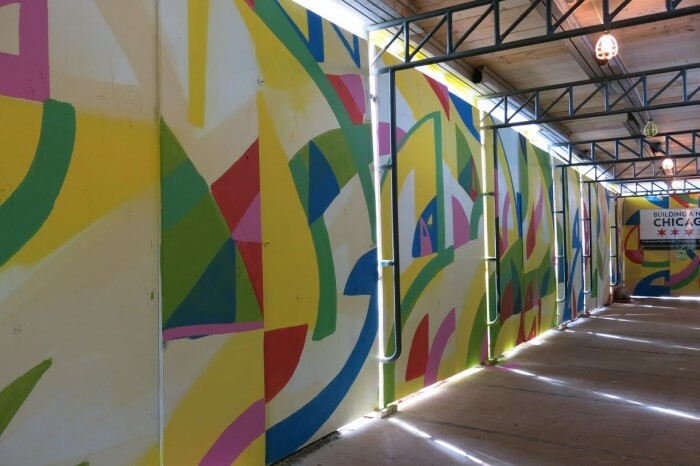 Since we last spoke with Justus Roe, the man has been busy as a bee — a masterfully prolific painter bee pollinating the city with style. 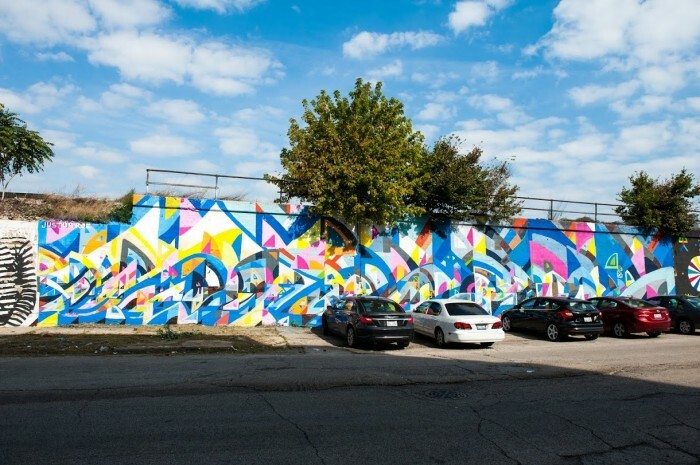 During what has been self-dubbed the Omnipresence Campaign, he has been putting in work all over the city, from Edgewater and Rogers Park, to Pilsen and South Shore, with works that are instantly recognizable and lastingly memorable. 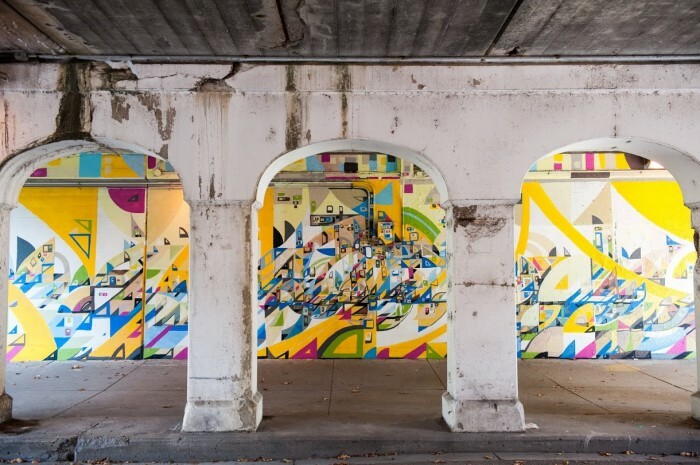 Recently, he has brought his work into the public eye at the South Shore Arts Festival, in the 25th and 49th Ward, respectively, on the facade of the Flat Iron Building, and inside the famed Garfield Park Conservatory. This is just the tip of the iceberg though, as the legend also has several new projects in development this year. The excitement of a new Justus Roe allows us to examine the space in which it inhabits by doing more than just showing up for work like a good worker bee. A new Justus Roe enhances and brings the beauty of the city to the forefront of our shortened attention spans. 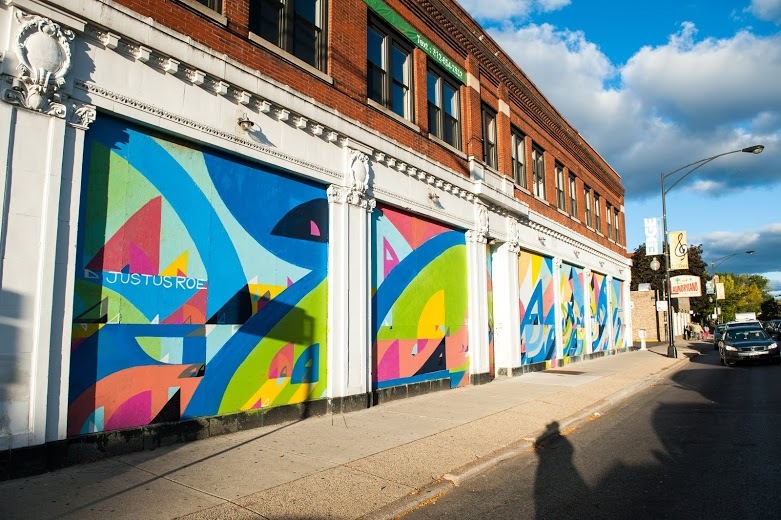 A new Justus Roe enables a sense of untapped possibility.While we’re walking, driving, biking or running through the city, the artist is creating and improving the trip. As we converse or listen to our music in our hustle through this city, Justus Roe is just making the view more enjoyable while we do whatever it is that we do. And that’s a beautiful thing with beautiful consequences. For your art-loving convenience, Justus has provided a comprehensive map detailing where you can catch a glimpse of his works around the city. Do yourself (and whoever you’re currently trying to impress) a favor and open that link up to take in the fruits of Mr. Roe’s labors. You’ll be glad you did. 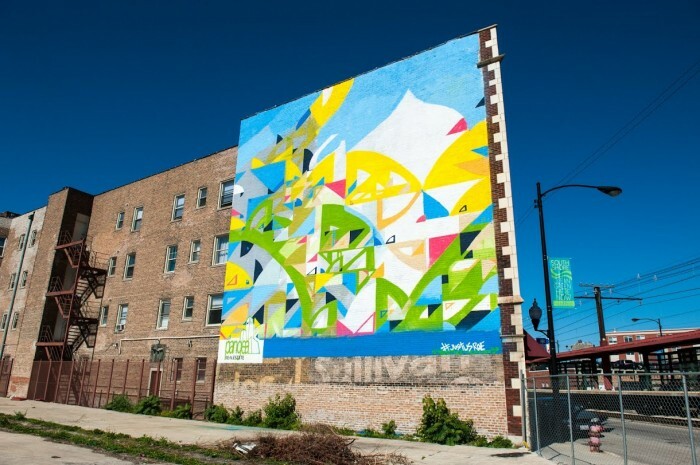 While we’re in an Olympics state of mind, Justus Roe is a household name that would compete for gold in any arts-related Chicago competition. I bet you’ve come into contact with Justus Roe and his work. You just don’t know it yet… unless you do. In which case, kudos to you. But more importantly, kudos to Justus Roe and his Omnipresence Campaign.